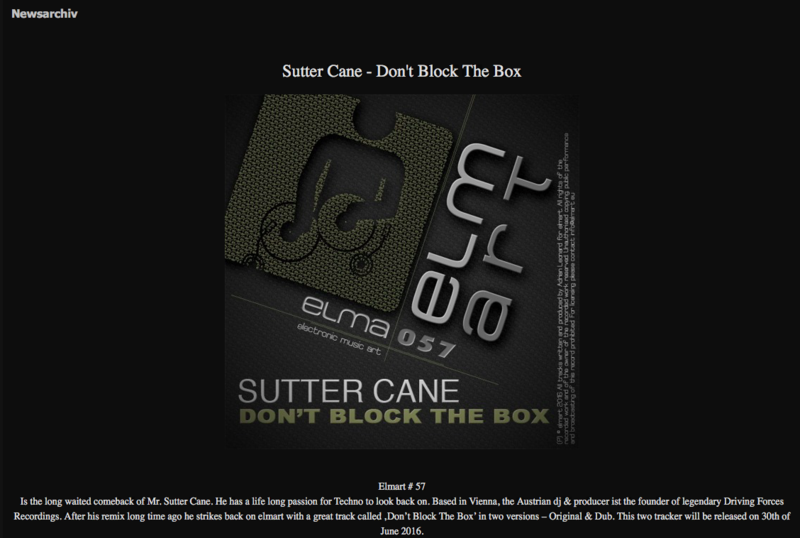 The Germany based electronic music website 'World-Djs.de 'supports the Upper Austrian label 'elmart' with a record review of our upcoming Sutter Cane release called 'Don't Block The Box'. This EP will be released on 30 of June 2016. You can read the latest news, interviews, technic reports and party tips on their website. To read the record review check their news page.